Riding bicycles can be convenient and fun. However it might be rather troublesome if there are too many luggages for you to carry with. This tricycle with a big basket is surely to meet your need under such circumstance. Tricycles are favoured by senior adults for their apparent stability versus a bicycle. Our tricycle is made with good quality carbon steel frame. Large soft saddle equipped for better riding experience. Primarily used for recreation, shopping, exercise or any time/situation you want. For unisex adult, also very suitable for elders who seek for comfort and easy riding and outdoor activities. 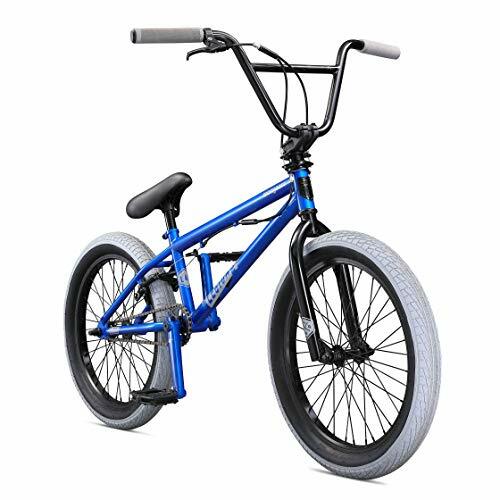 【Quickly order Quickly receive】- We guarantee that our three-wheeled bicycles will be shipped from the US warehouse. You will receive the package within 3-5 days after placing the order. Please enjoy the cycling as soon as possible. 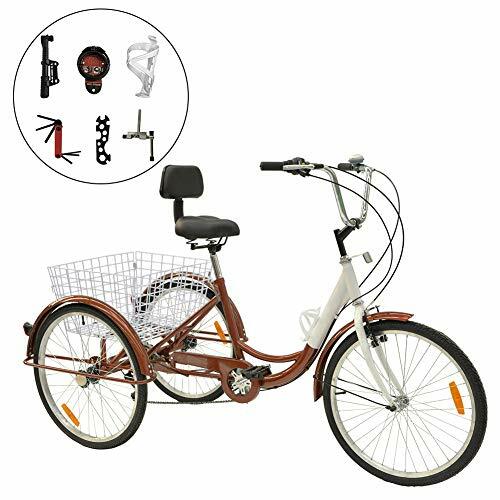 【Large-Capacity Iron Basket】- The tricycle has a large rear basket, which are convenient for shopping and carrying enough thing as you want. 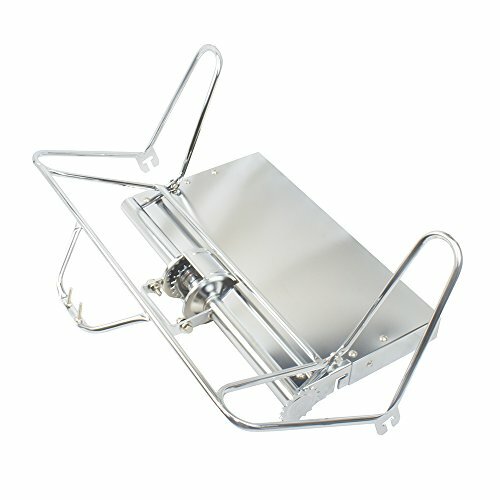 Folding basket is also perfect for picnics or storing groceries. 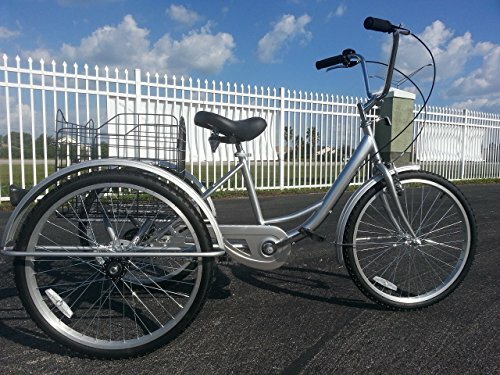 【Sturdy Steel Construction】- The 3-wheeled bike is made of high quality iron, and it can support rider and cargo combined weight up to 331 lbs. Besides practicality, the 3-wheel design also provides extra stability while riding. 【Big Wheels with Fenders】- Equipped with three big wheels with stylish full wrap fenders, it will make your bicycle clean and dry to the maximum extent. 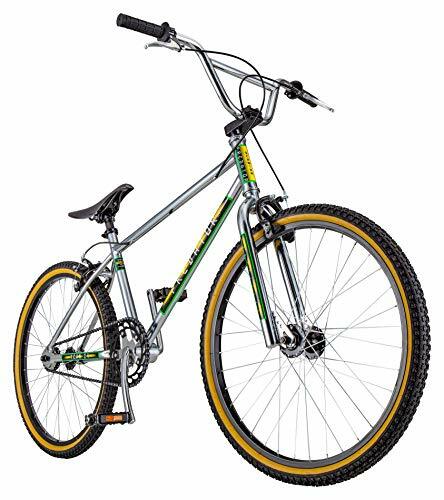 Lightweight alloy rims with galvanized iron spoke help keep the ride light and smooth. 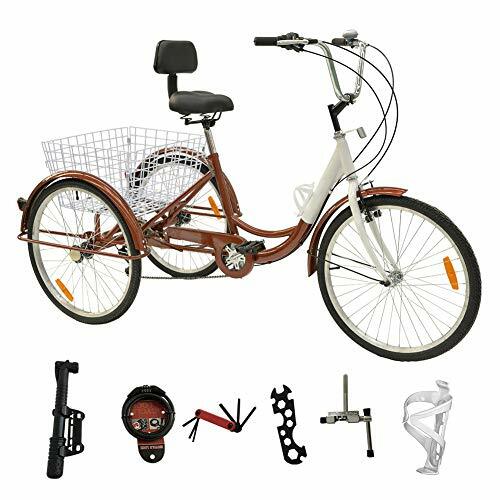 【Practical Bicycle】: This tricycle will be a practical tool in your daily life. It can be used for recreation, shopping or exercise. You no longer need to worry about riding bicycle with many items. 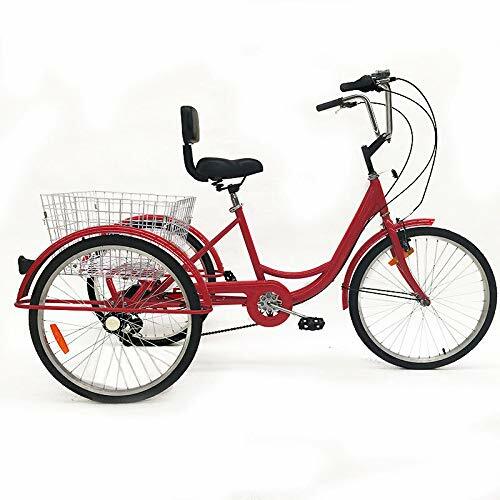 Comfortably for you enjoy riding around town, the beach, or on a bike path.